The cells on your body regularly shed to reveal new, healthier skin underneath. The cellular turnover process slows as we get older. 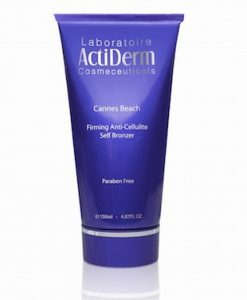 You can give it a helping hand by reaching for a great body scrub. A scrub works in a number of ways: As you shower, massage it over your body, the exfoliating granules will help to remove dead skin cells, and the rubbing action itself boosts circulation increasing blood flow to the skin’s surface. 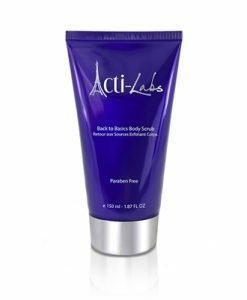 Back to Basics Body Scrub contains Sea Salt, Seaweed Extract, Argon oil and Aloe extract. Step Un: As you shower, massage Back to Basics Body Scrub all over your body. Step Deux: After the scrub is complete, the excess is then rinsed off. 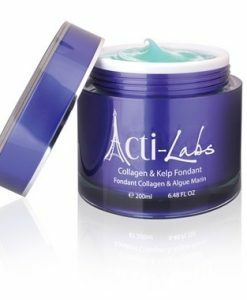 Step Trois: Pat your skin dry and follow with a “spritz” of Energising & Vitality Lotion and complete the treatment with a splurge of Collagen & Kelp Fondant.